Strategy Cards are non-game cards that give advice on older cards, and their ability to play alongside or together with the cards showcased in the same set. 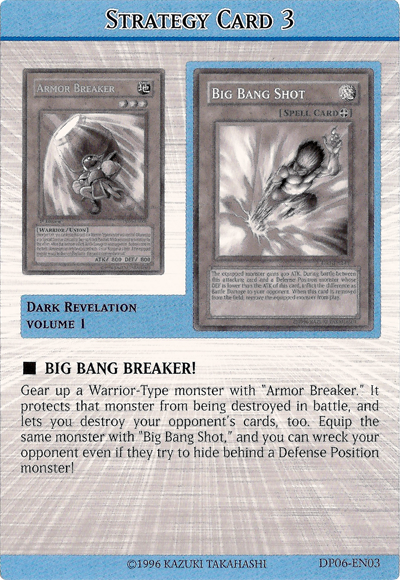 They are included in the TCG releases of the first 9 Duelist Packs as well as Duelist Pack: Yugi and Duelist Pack: Kaiba. Each Duelist Pack series has 10 non-game cards, 9 being Strategy Cards and 1 being a Card Checklist.